Blue Ridge: Our signature hole. The best par 4 in Derbyshire if not the Midlands. 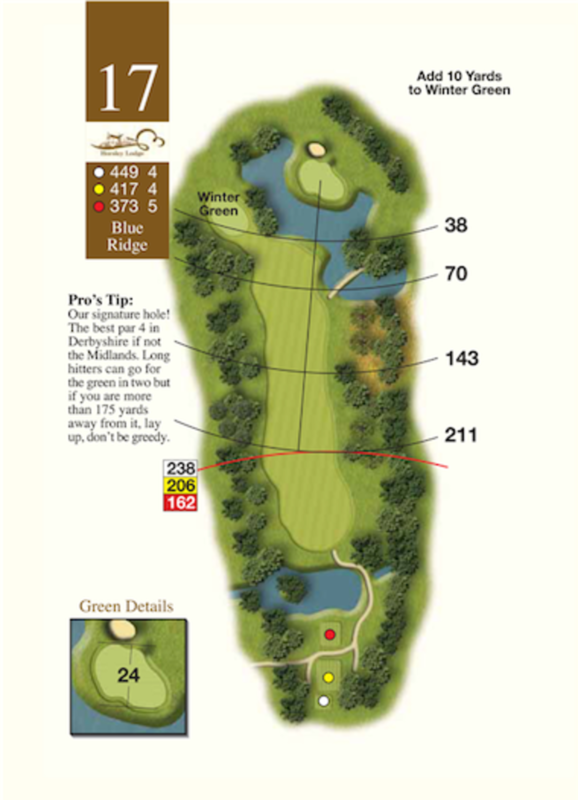 Long hitters can go for the green in two but if your are more than 175 yards away from it, lay up don't be greedy.